GLOBAL CONTEXT: May 15th is a global day of action for the Occupy movement. The Indignados from Spain are celebrating their one year anniversary and hundreds of thousands of people have re-occupied squares all over Spain and continue to hold the space. Occupy Wall Street and a broad affiliation of organizations will join together for a sit-down strike and mass assembly in Times Squares at 6 PM.This action will focus on the Banks and their role in the Global Economic Crisis. 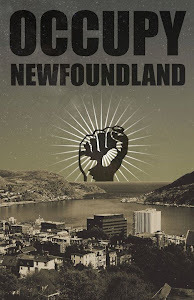 Occupy NL stands in solidarity with the global movement against austerity and seeks to move towards economic justice worldwide during this day of global action. We will be evicted from Harbourside Park today, May 15th. Despite all odds, Occupy NL has lasted through the winter, but now that Spring is here the City of St. John's is preparing for tourist season. Read another important blogpost on the subject. The city has been undeniably accommodating this whole time. However, the underlying issues of affordable housing, homelessness, and income inequality, which are only getting worse all the time, will not go away when we no longer occupy the park; these systematic issues can only be addressed by a fullscale re-imagining of our way of life – a spiritual insurrection. Only then can we start rebuilding local communities. We have been occupying a public space (Harbourside Park for its historical connection to colonialism and protest) to show that we are not happy with the current state of affairs: municipally, provincially, federally, globally. The central issue of inequality recreates itself at all levels. Show your support for the Occupy movement on May 15th. 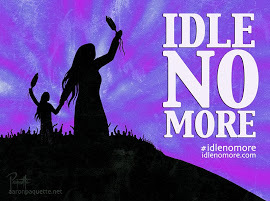 Bring your energy to the social momentum that will be sweeping the globe this year. Occupy is not merely about camping in public spaces (although the tent is a powerful symbol); we will evolve in whatever way will allow us to empower people to reclaim power. An eviction will not stop what has been set in motion on October 15th, 2011 – Occupy NL will find new and creative ways to express what is so fundamental to this movement: that another world is possible. No demand is big enough! Occupy has and will continue in different ways to carve out autonomous spaces for people to come together as equals and feel the power of horizontal, direct democracy. You can't evict an idea whose time has come!